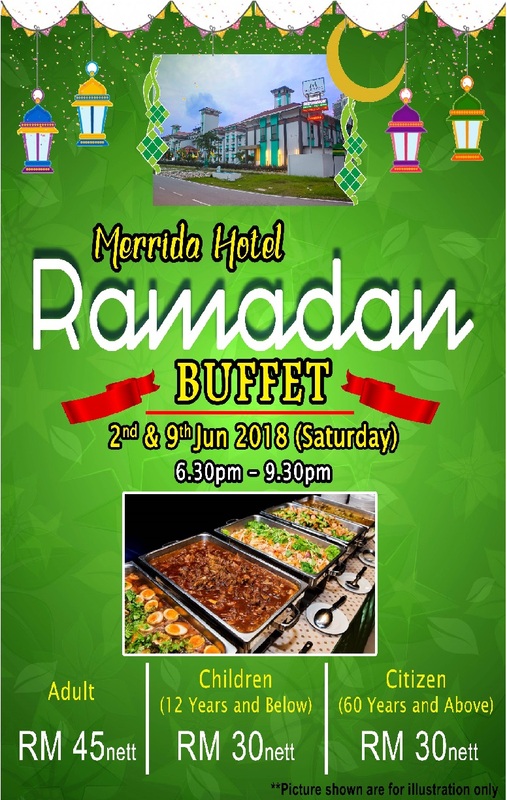 Merrida Hotel is having two more Iftar Buffet (Berbuka Puasa) feast. On 2nd June 2018 & 9th June 2018, promotion for buffet Iftar at a special price of only RM 45.00 nett per person.Seats are limited. Book with us now and may your taste bud experience the spread of mouth watering delicacies served by our experienced Chef. During Ramadan month on all other days except the date mention above , dome set would be served instead. Please do not hesitate to contact us via phone or email to place a booking. Looking forward for a favourable reply from you. I was looking for some deals like these as I need to do AustralianWritings on them and I think that it will be the best thing for me. Please make sure to work on it.